Our ability to measure time persists in the face of a wide variety of neural insults. In combination with the large array of neural structures that have been shown to activate during timing tasks, this resilience suggests that multiple brain networks are capable of measuring time. 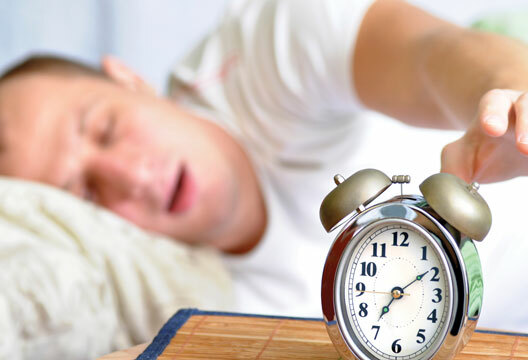 This article explores this apparent ‘degeneracy’ (a concept explained in the article) in neural systems for timing in the context of recent evidence that such degeneracy may be promoted and enhanced by consolidation across a night of sleep. We also raise the possibility that offline consolidation may promote degeneracy in other spheres (not just in timing). Why are so many different parts of the brain involved in time perception? This simple function appears to draw on a vast array of different neural substrates, and these vary greatly depending on the precise timing task at hand. This is a major obstacle to the study of temporal processing: research is continually constrained by the observation that duration range, signal modality, response type, hemispheric lateralisation, level of awareness, and type of timing task all impact upon the neural structures involved in time measurement in complex ways (e.g. Harrington et al., 2011; Jahanshahi et al., 2010; Jones et al., 2008). An early meta-analysis of the brain areas that activate when participants are asked to time specific stimuli or responses implicated 33 different structures across the 35 studies examined (Lewis & Miall, 2003b, 2003c). The timing tasks in question encompassed everything from paced finger tapping to passive viewing of a visually presented interval. Early models suggested that the same neural timing mechanism might be involved in all timing tasks, but this type of evidence argues strongly against the concept of a single neural clock. Instead, the diversity of brain regions recruited for timing suggests that time can be measured by multiple degenerate systems. In this article, we will explain the concept of degeneracy and point out a parallel between the apparent degeneracy of neural timing systems and the well-characterised degeneracy in many other aspects of biological function (Edelman & Gally, 2001; Tononi et al., 1999). We will also suggest that sleep plays a novel role in emphasising differences between the various neural representations of time, and perhaps even in creating degeneracy. while other timing tasks draw much more clearly on one or the other. To investigate the importance of the job at hand for determining which parts of the brain are used, Lewis and Miall analysed three specific task characteristics. These were the duration of the interval to be timed, whether or not timing involved movement by the participant, and the continuousness of the timing (e.g. whether the start time of each sequential interval was predictable as in the case of rhythmic events). Interestingly, this analysis revealed that sub-second intervals, automatic tasks, and motor involvement all biased neural recruitment towards the automatic system, while the opposing characteristics – durations of more than a second, non-motor timing and a discrete, non-rhythmical response – biased recruitment towards the cognitively-controlled system. Most tasks, however, contained a combination of these characteristics and thus recruited elements of each system (Lewis & Miall, 2003a, 2003b, 2003c). Although no subsequent study has examined the impact of all three of these task factors within the same dataset, a recent meta-analysis did categorise the neuroimaging literature based on both interval duration and motor demands (Wiener et al., 2010). This again showed that different task characteristics are associated with distinct patterns of neural activity – although the brain regions implicated were not identical to those found by Lewis and Miall (2003a, 2003b). Other work has further supported the recruitment of distinct timing mechanisms for sub- and supra-second intervals (e.g. Gooch et. al., 2010, Sysoeva et al., 2010; Wiener et. al. 2011), as well as for motor and non-motor tasks (e.g. Coslett et. al. 2010, Bueti & Walsh, 2010). The overall finding – that many different patterns of brain activity can be elicited by time measurement, and that this is partially dependent upon the nature of the task as well as the participant’s neurological status – is now well established. As we will argue below, such seemingly complex results can potentially be explained by the relatively simple concept of degeneracy in neural timing systems. In the simplest sense, degeneracy can be thought of as a strategy by which an organism protects itself against loss of vital abilities via distribution of function, across structurally different mechanisms. When it comes to purely neural systems, however, degeneracy can be more complex and subtle. It is unlikely that any two separate neural systems will perform a given function in exactly the same way. Instead, the brain frequently provides several alternative routes to any given goal, with each of these drawing upon quite separate machinery. Evidence for this comes from the remarkable resilience shown by patients with brain damage, who frequently perform well on tasks such as semantic judgement even when the brain regions that are most strongly associated with these functions have been completely removed. Other evidence comes from neuroimaging studies of healthy participants, showing that different people consistently use completely different neural systems to perform the same task (e.g. Noppeney et al., 2006). The time-perception data discussed above are a good example of this latter multiplicity of function (Coslett et al., 2009).Furthermore, these types of task-related differences in time perception are consistent with the selective recruitment and context dependency of degenerate systems (e.g. Lewis & Miall, 2003b; Whitacre & Bender, 2010). Those who study degeneracy in biological systems argue that it is highly adaptive because it facilitates learning via prevention of interference among new memories and pre-existing representations. Degeneracy also allows flexibility at an evolutionary level. The relevance of this line of reasoning to time perception should be obvious. The fundamental importance of timing to all perception and action demands degeneracy, while the ease with which it can be performed by a range of neural architectures facilitates such a design (Buhusi & Meck, 2005; Buonomano & Laje, 2010). It is very difficult to completely abolish the ability to measure time, especially as a result of focal brain lesions, where redundancy from the opposite hemisphere is likely to contribute to recovery (e.g. Aparicio et al., 2005; Coslett et al., 2009 – but see Coslett et al., 2010 and Meck, 2006 for examples of bilateral lesions of the basal ganglia that can lead to timing deficits). It is now well established that sleep plays a role in memory consolidation (Diekelmann & Born, 2010; Walker, 2009). Subconscious processing that occurs while we slumber is believed to allow the re-coding of new memories in different brain structures, as well as the integration of these memories into existing knowledge. Both the mechanisms by which such consolidation occurs, and how it differs for different types of memory, remain controversial. Several theories have proposed that sleep facilitates the transfer of episodic information from hippocampal representations to the neocortex (Cheng et al., 2008, 2009; Takashima et al., 2009). Sleep has also been shown to facilitate the transfer of procedural representations from hippocampus into structures that are more associated with motor control (Albouy et al., 2008; Coull et al., 2011). Recently, an examination of how overnight sleep impacts on the pattern of brain activity associated with rhythmic timing (Lewis et al., 2011) has built on such findings in an interesting way. This study examined both passive monitoring of an auditory rhythm for sounds that were misplaced in time (a task that draws more strongly on the ‘cognitively controlled’ system for timing), and active tapping of that rhythm with a forefinger (a task that draws more strongly on the ‘automatic’ system for timing). This showed that consolidation of memory for the rhythm across sleep led to both enhanced activation of the hippocampus (associated with cognitively controlled timing) during subsequent monitoring, and enhanced activation in parts of the motor system (associated with automatic timing) during subsequent rhythmic tapping. Importantly, the same participants performed both tasks, so these distinct activation patterns do not reflect a difference in consolidation, but instead a difference in the way brain areas were recruited after consolidation, depending upon the task that was performed. This not only supports the idea that the temporal representation that had been learned and consolidated was accessed differently depending upon the nature of the task at hand, but also suggests that sleep led to a greater dissociation in the brain areas recruited (e.g. that motor timing was more ‘automatic’, and non-motor timing was more ‘cognitively controlled’ after consolidation during sleep). The brain can be thought of as a compartmentalised structure, with different types of hardware available in different areas. Some types of hardware are more suited to some types of processing than others. For instance the cerebellum is well suited to the fine-tuning of motor control, and the primary visual cortex is well suited to the detection of line orientations. Such structural predispositions could explain the marked cross-cultural consistency observed in the brain regions used for tasks such as language processing and arithmetic. Dehaene and Cohen (2007) suggest that these regions are not only predisposed to perform such functions, but have also evolved to facilitate these kinds of tasks, becoming more and more specialised as specific, related, demands are incrementally placed upon them. Combining this idea with the neuroplasticity observed in brain structures recruited for rhythmic timing after sleep (Lewis et. al., 2011), it is tempting to speculate that sleep may facilitate the evolution of temporal memories along similar lines. That is, sleep may facilitate a gradual shift in the neural representation of temporal memories away from flexible brain structures that can perform many types of timing and deeper and deeper into structures that are more specialised for a particular type of processing (e.g. motor timing). If we follow this idea up, the selective increases in the involvement of the motor system and hippocampus observed by Lewis et al. (2011) after sleep could suggest that the copy of the temporal memory stored within each structure is gradually re-coded in the way that is most compatible with the specific neural hardware in question (Yin & Troger, 2011). To take a simplistic example, if a neural network is good at representing vertical, but not horizontal lines, then a consolidating pictorial representation may gradually lose its horizontal component while retaining all vertical components as it becomes increasingly dependent upon this property of the network. If a separate representation exists in a different network specialising in horizontal lines, then a holistic memory for the picture might draw upon both networks, providing a more complete visual representation. If one of the networks is damaged, the partial existing memory might still be sufficient to allow success on a range of memory tests, but deficits would be apparent if the tests specifically targeted the damaged line orientation (horizontal or vertical). With regard to the impact of sleep upon temporal memory mechanisms, we speculate that the automatic and cognitively controlled systems could fill similar roles to the horizontal and vertical networks outlined above (Lewis et al., 2011). The observation of increased activation in the striatum, cerebellum and supplementary motor area (all associated with the automatic system) during motor timing, and in the hippocampus (more associated with the cognitive system) after sleep would then be in line with the idea that the mnemonic representations in both neural systems may have been altered as they gradually settled into the hardware available, producing two separate specialised representations instead of the original more flexible single representation. In other words, we are suggesting that temporal memories may become more and more specialised to fit the neural structures by which they are coded when they consolidate across sleep. In this article we have considered the multiplicity of brain regions for timing and time perception in the context of established ideas about neural degeneracy. We have discussed evidence for the degeneracy of neural timing systems, as well as the benefits of degeneracy at the evolutionary level. Recent work on how sleep influences the degenerate representations of time suggests that offline consolidation may emphasise the differences between timing systems, and that there is a parallel between this magnification effect and the impact of sleep in other domains such as visual procedural memory consolidation (Gais et al., 2008). We draw on this information to suggest that, in the process of more firmly ingraining new memories into the brain’s neural structures, consolidation may also subtly tailor them to fit the circuitry in which they are coded. Distinct representations of the same memory may therefore gradually evolve along quite separate trajectories such that the brain must draw on different representations in order to respond to specific task demands. In some cases more than one complementary representation may be needed. This proposal is especially relevant for temporal memories, as these can be used in many different ways (e.g. for movement or for cognitive decisions), but the possibility that this general principle applies to all consolidation in the brain should also be considered. Inevitably, unresolved issues remain. Under what conditions does degeneracy occur in timing? How is it influenced by selective lesions? How does one evaluate the degree of degeneracy, and are there individual differences? Is there a specific order in which alternative timing systems are engaged, or is this dependent upon the circumstances? How does memory consolidation, especially across sleep, impact upon degeneracy in timing? This is sure to remain a fascinating area of research for many years to come. ganglia lesions on timing and force control. Brain and Cognition, 58, 62–74. Bueti, D. & Walsh, V. (2010). Memory for time distinguishes between perception and action. Perception, 39, 81–90. Buhusi, C.V. & Meck, W.H. (2005). What makes us tick? Nature Reviews Neuroscience, 6, 755–765. Buonomano, D.V. & Laje, R. (2010). Population clocks. Trends in Cognitive Sciences, 14, 520–527. Cheng, R.K., Williams, C.L. & Meck, W.H. (2008). Oscillatory bands, neuronal synchrony and hippocampal function. Brain Research, 1237, 176–194. Cheng, R.K., Williams, C.L. & Meck, W.H. (2009). Neurophysiological mechanisms of sleep-dependent memory consolidation and its facilitation by prenatal choline supplementation. Chinese Journal of Physiology, 52, 223–235. Coslett, H.B., Shenton, J., Dyer, T. & Wiener, M. (2009). Cognitive timing. Brain Research, 1254, 38–48. Dehaene, S. & Cohen, L. (2007). Cultural recycling of cortical maps. Neuron, 56, 384–398. Diekelmann, S. & Born, J. (2010). The memory function of sleep. Nature Reviews Neuroscience, 11, 114–126. Gais, S., Rasch, B., Wagner, U. & Born, J. (2008). Visual–procedural memory consolidation during sleep blocked by glutamatergic receptor antagonists. Journal of Neuroscience, 28, 5513–5518. Gooch, C.M., Wiener, M., Wencil, E.B. & Coslett, H.B. (2010). Interval timing disruptions in subjects with cerebellar lesions. Neuropsychologia, 48, 1022–1031. Jahanshahi, M., Jones, C.R.G., Zijlmans, J. et al. (2010). Dopaminergic modulation of striato-frontal connectivity during motor timing in Parkinson’s disease. Brain, 133, 727–745. Jones, C.R.G., Malone, T.J.L., Dirnberger, G. et al. (2008). Basal ganglia, dopamine and temporal processing. Brain and Cognition, 68, 30–41. Lewis, P.A., Couch, T.J. & Walker, M.P. (2011). Keeping time in your sleep. Neuropsychologia, 49, 115–123. Lewis, P.A. & Miall, R.C. (2003a). Brain activation patterns during measurement of sub- and supra-second intervals. Neuropsychologia, 41, 1583–1592. Lewis, P.A. & Miall, R.C. (2003b). Distinct systems for automatic and cognitively controlled time measurement. Current Opinion in Neurobiology, 13, 250–255. Lewis, P.A. & Miall, R.C. (2003c). Overview: An image of human neural timing. In W.H. Meck (Ed. ), Functional and neural mechanisms of interval timing. (pp.515–532). Boca Raton, FL: CRC Press. Meck, W.H. (2006). Neuroanatomical localization of an internal clock. Brain Research, 1109, 93–107. Meck, W.H., Penney, T.B. & Pouthas, V. (2008). Cortico-striatal representation of time in animals and humans. Current Opinion in Neurobiology, 18, 145–152. Noppeney, U., Penny, W.D., Price, C.J. et al. (2006). Identification of degenerate neuronal systems based on intersubject variability. NeuroImage, 30, 885–890. Sysoeva, O.V., Tonevitsky, A.G. & Wackermann, J. (2010). Genetic determinants of time perception mediated by the serotonergic system. PLoS ONE, 5(9), e12650. Takashima, A., Nieuwenhuis, I.L.C., Jensen, O. et al. (2009). Shift from hippocampal to neocortical centered retrieval network with consolidation. Journal of Neuroscience, 29, 10087–10093. Academy of Sciences, USA, 96, 3257–3262. Walker, M.P. (2009). The role of sleep in cognition and emotion. Annals of the New York Academy of Sciences, 1156, 168–197. Whitacre, J. & Bender, A. (2010). Degeneracy. Journal of Theoretical Biology, 263, 143–153. Wiener, M., Lohoff, F.W. & Coslett, H.B. (2011). Double dissociation of dopamine genes and timing in humans. Journal of Cognitive Neuroscience, 23, 2811–2821. Wiener, M., Turkeltaub, P.E. & Coslett, H.B. (2010). The image of time. NeuroImage, 49, 1728–1740.